The University of Alberta Libraries (UAL) and Faculty of Graduate Studies and Research (FGSR) are excited to announce an Images of Research competition for all current graduate students. Entries will be accepted from February 24th to March 23rd, 2016. All entries must be received by the competition closing date. Winners will be announced in April. Winning and semifinalist entries will be printed and exhibited in Cameron Library. Visit the Images of Research web site for more information and to submit your entry. Contact ior@ualberta.ca if you have any questions or comments. Fair Dealing Week is a time to promote and discuss the opportunities provided by this important provision of the Copyright Act. Fair dealing allows for certain uses of copyrighted works without requiring permission or payment, helping define user rights that support both engagement with existing works and the creation of new content. An initiative commissioned by the Association of Research Libraries (ARL), Fair Use / Fair Dealing Week is recognized in both the US and Canada. View this this short video of Vice-Provost and Chief Librarian Gerald Beasley explaining the value of fair dealing. Join copyright professionals for a panel presentation and discussion about this critical part of our system of intellectual property governance. Bring your questions! Even in 21st century Canada, access to information and intellectual freedom cannot be taken for granted. Canadian libraries and schools regularly receive demands to remove books from shelves and reading lists. As well, intellectual freedom on the internet faces many adversaries both human and technological. 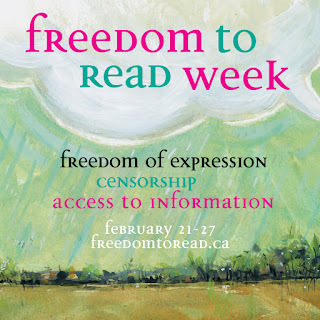 Freedom to Read week, a project of the Canadian Book and Periodical Council , encourages discussion and vigilance against censorship in all its forms. As institutions of knowledge and learning, libraries have always defended the basic human right to access information and freely express ideas. February 21-27 is Freedom to Read week with many events nation-wide. 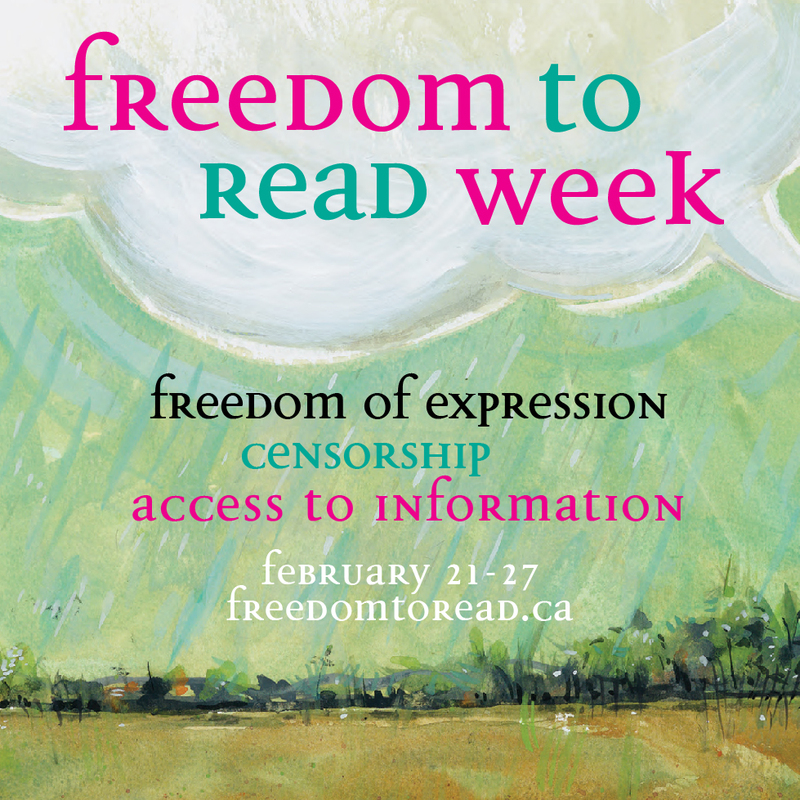 To learn more, download the Freedom to Read Week 2016 discussion kit which includes a discussion with Alvin M. Schrader, author and Professor Emeritus of the University of Alberta. There are also many lists and databases online documenting books that have been challenged in the past. As part of a pilot project, Cameron Library is providing 3D printing services with the Faculty of Science, in collaboration with the Physics Department's Science Hardware Hackerspace: The Shack. 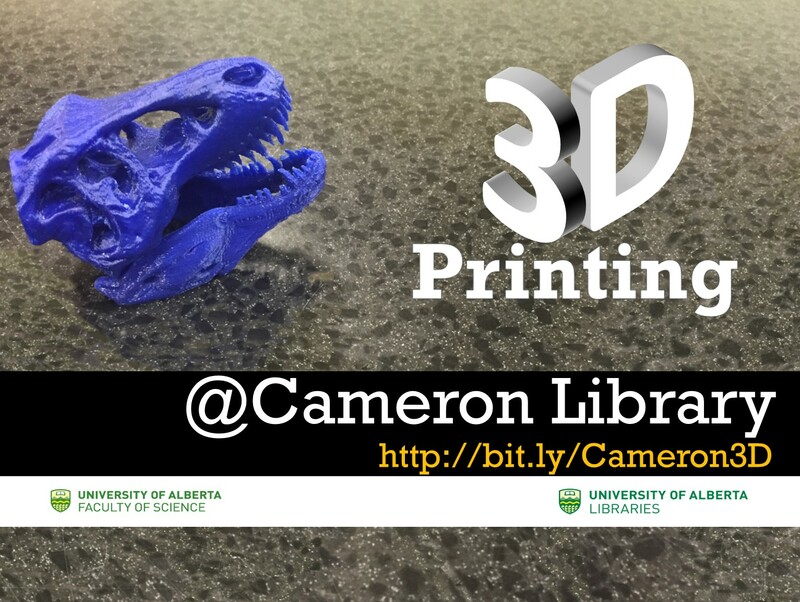 A TRex skull, pyramid, a topographical map of Everest - these are just a few of the 3D models printed at Cameron Library that could be used as education aids, prototype designs, objects for research projects, or other academic activities. The new Machina mk2 3D printers use a plant-based, recyclable plastic filament to form layers of material of a digital model, one at a time, until the object is fully rendered. In addition to being for a classroom assignment or a research project, the object needs to print in 4 hours or less - so items that sit in the palm of your hand are eligible. 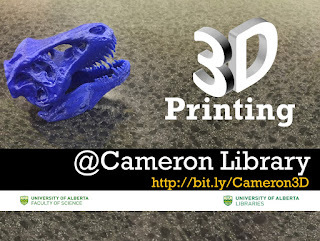 UAlberta faculty, students and staff are eligible to use the 3D printers for academic purposes, and it is free of charge. To learn more about this exciting new service including guidelines, submission forms and frequently asked questions, check out our 3D printing page. 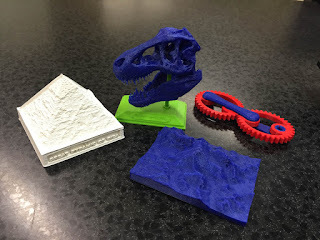 Some of the 3D models printed at Cameron Library that could be used as education aids, prototype designs, objects for research projects, or other academic activities. From March 7 to March 11, 2016 universities, colleges, schools and organizations around the world will be celebrating Open Education Week, including the University of Alberta. Open educational resources (OERs) are any freely available material or media that facilitates teaching and learning. OERs can include videos, podcasts, presentations, textbooks and more. They provide faculty the flexibility to share, collaborate and draw on course materials from around the world, while reducing the cost of higher education by challenging expensive textbook prices. OERs also provide a practical and effective way to facilitate lifelong learning, an essential skill in our changing and complex world. Attend the University of Alberta’s Open Education Week events to learn more about OERs and what they mean for you. Review the schedule and register online! Events are open to all. Starting Tuesday, February 16th at 9pm, a valid University of Alberta ONECard will be required for after hours access to Cameron Library, when security guards are on duty. Visitors without their ONECard will be denied entry. Swipe card access will be available through the side door adjacent to Starbucks. Trained security guards and blue pull stations have also been put into place at Rutherford Library on North Campus and at the Augustana Campus Library to support after hours study spaces. All of these changes reflect a broader strategy within the Libraries to provide more safe and secure spaces for our UAlberta community members.